Having fun while bathing in silky soft water - you don't have to do without it today. Just enjoy a tingling and silky soft shower or a pleasantly warm bath. Soft water pampers your skin, makes hair shiny and smooth as velvet. 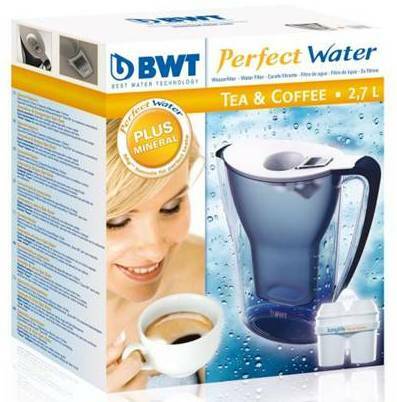 Enjoy, protect and safe with BWT soft water. Limescale forms wherever hard water flows, drips or dried. 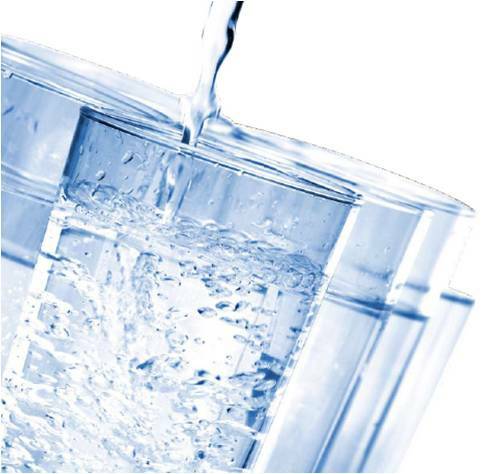 This is because of the calcium and magnesium ions dissolved in it, which are responsible for the water hardness. The results of this are limescale encrusted pipes and water installations and calcified household appliances and fittings. In addition to this, lime scale deposits also promote the faster growth of bacterial in domestic water systems. The costs involved here can be dramatic and excessive. For this reason alone, the installation of BWT Bewamat soft water system is recommended, because it functions in line with the latest ion exchange principle which converts calcium and magnesium ions. In this way, wonderfully soft water is produced which offers many advantages, such as enhanced wellbeing, perfect lime scale protection throughout the house and money savings. Place your trust in quality products – made in Germany – from Europe’s leading water treatment company. BWT soft water cares for the skin and looks after the hair and body in a wonderfully gentle way. Pure luxury: turn showering and bathing into a wellness experience. Dishes remain streak-free and retain their shine with soft water. Clothes washed in soft water are fresher, cleaner and softer. Iron is easier and the radiance of the colors last for longer. 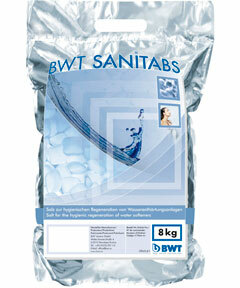 BWT soft water is good for the whole bathroom and protects it permanently. Because the strains on all surfaces, glass shower partitions and fittings are significantly reduced, daily cleaning is made considerably easier, so that your bathroom can sparkle with a permanent sheen. Soft water also means reliable lime scale protection for your complete pipe work and all connected appliances. The service life of washing machines, dishwashers, coffee machines and kettles, as well as the maintenance intervals of aerators, is extended significantly. Ecology and economy combined in one device. BWT offers state-of-the-art water treatment technologies and services for drinking water, process water, heating water, boiler water, cooling water and water for air-conditioning systems as well as swimming pool water. BWT innovation centers continuously research, develop and optimize processes for filtration, limescale protection, softening, dosing, disinfection (UV, ozone, chlorine dioxide, advanced oxidation), membrane technology (microfiltration, ultrafiltration, nanofiltration, reverse osmosis) and special filters for the prevention of legionella. 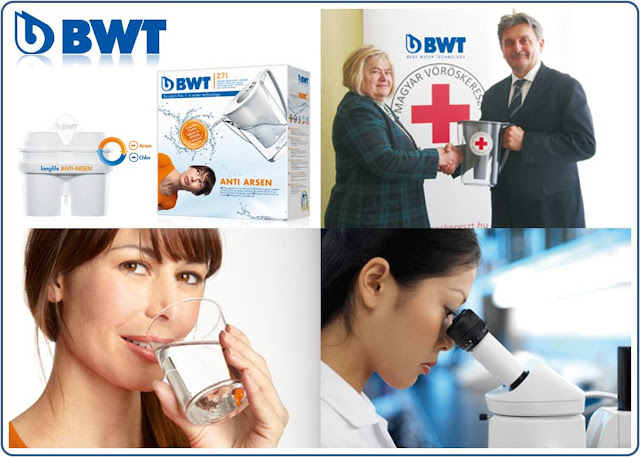 BWT domestic technology products guarantee the highest quality drinking water for a wide range of household applications: from silky-soft BWT pearl water when taking a shower or bath to clean drinking water rich in healthy substances and protection against lime-scale and corrosion. With filters, softening and lime-scale protection systems, heating protection, mineral dosage as well as accurate installation technology from BWT, you are guaranteed optimal protection of your pipe installations, solar systems aswell as heating and household appliances. 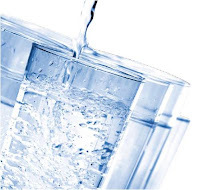 Given its natural composition, water as it flows from the tap can only be used in exceptional cases for economic processes within commercial and industrial companies, the food and beverage industry, the pharmaceuticals industry and hospitals as well as municipal drinking water supplies. For more than 40 years, BWT has planned and installed trendsetting systems for these applications - from sophisticated standard products to individual, tailor-made special solutions - by taking all economical and ecological aspects into account. Within the business unit Point of Use, BWT offers products and technologies for water treatment which are installed or used at the water tapping point and which ensure the security, hygiene and health of drinking water in private households, the gastronomy and catering business as well as in municipal buildings, public facilities and business companies. CLEAR WATER Ideal for preparing hot and cold drinks and for cooking. CLEAR RESULTS Tea, coffee and ice cubes are clear in appearance and full in aroma. LOVELY TASTY WATER fresh taste, free of materials that destroy the taste like chlorine. SAVINGS Coffee-, espresso machines and kettles do not attract lime scale and therefore have a longer working life. As well as this, not only do you save money, you no longer have the bother of dragging around heavy bottles of water, when you use BWT Perfect Water as drinking water! BETTER WATER *Reduces heavy metals, like lead and copper, and reduced organic impurities. 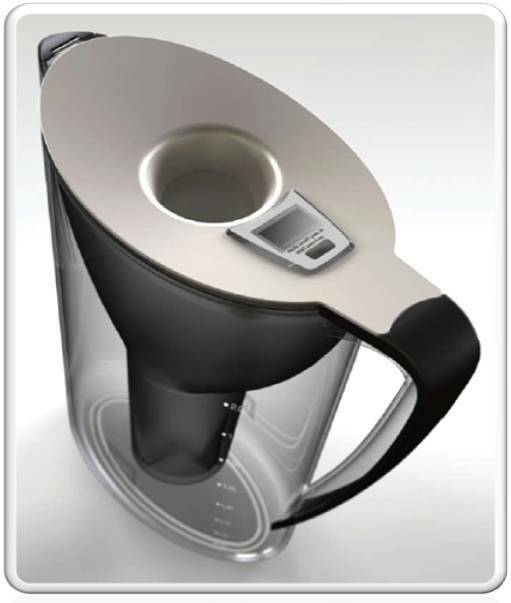 at home, for drinking and cooking ideally suited for private water systems. 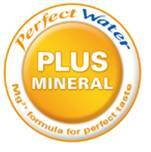 Unlike conventional reverse osmosis systems, WODA-PURE preserves all the valuable minerals contained in drinking water! WODA-PURE – reliable technology MADE IN GERMANY! 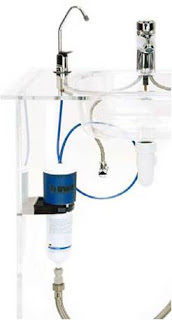 Step 1: Removal of dirt particles, undesired discolorations, bad odor and chlorine by a high-performance activated carbon filter in inline design. Step 2: Protection against bacterial and virus by efficient inline microfiltration actual filtration efficiency of 99.99%. Step 3: Hygienic safety from contamination by special fiber membrane. BWT.Thailand. Picture Window theme. Theme images by PLAINVIEW. Powered by Blogger.